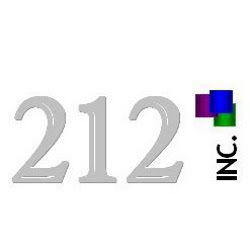 212, Inc., a leading Providence based direct marketing and sales agency, promotes Alex Navarette to Assistant Management. “I am excited and proud of this promotion,” says Alex Navarrett, Assistant Manager, 212, Inc.. “I am thrilled to see what other milestones my team and I can reach together. Alex Navarette began with 212, Inc., September of 2009 as an intern in sales and marketing. As a student at Johnson and Wales University, he began the position at 212 as part of his co-op curriculum. After four months of working part time as an intern, Navarette completed his co-op and received his Bachelor’s degree in Marketing. In Februaury of 2010, Alex began working full-time at 212 as an Account Manager for the company’s largest client. Five months later Alex received his promotion and is now in charge of a team that produces over thirty percent of the company’s total revenue.